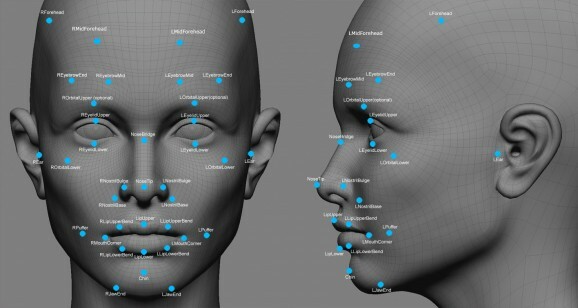 Search results for: "facial recognition"
Beyond the crowded aisles and long checkout lines, shopping at grocery stores or department stores during normal daytime hours is a hassle because there’s always I’ll hear through the din: “Nick? Nick!” And it ends up being one of several hundred people I could have easily gone the rest of my life without having to talk to again, much less having to rehash the last 5-15 years of my life. But I don’t want to wear glasses with a fake mustache and oversized hat in order to fool people. So I shop at night. Minus the hat and mustache, a pair of glasses – regular lab goggles to be more precise – developed by Japanese researchers can fool facial recognition software. Inspired party by artist Adam Harvey’s face-paint and hairstyle methods of thwarting facial detection technology, Isao Echizen, an associate professor at Tokyo’s National Institute of Informatics, and Seiichi Gohshi, a professor at Kogakuin University, developed the glasses, which house a series of circular lights that emit near infrared light, invisible to our eyes, which distorts the features when viewed by cameras and Facebook imps. The glasses are connected by wire to a battery carried in the pocket. Considering we’ve gone this long without having facial recognition assimilated into our everyday lives, and the privacy issues it has already brought up are quite a headache to sit through. I think John Woo, Nicolas Cage, and John Travolta unintentially showed us the negative consequences of what happens when people’s faces are their only link to…you know, I don’t really remember what the movie was about. One of the abilities that distinguishes humans from animals is the ability to create art. Sure, animals do some cool stuff, but there’s usually a practical reason, rather than an aesthetic one (with the exception of the Kraken). Until fairly recently, humans figured that the desire and ability to create art separated us from robots too, but robotic musicians and other art-generating robots call this once-unique ability into question. Still, most of those robots are programmed to play, and it’s not as though they’re mechanical Beethovens, applying what they’ve learned about musical theory to their own skills to create unique scores. 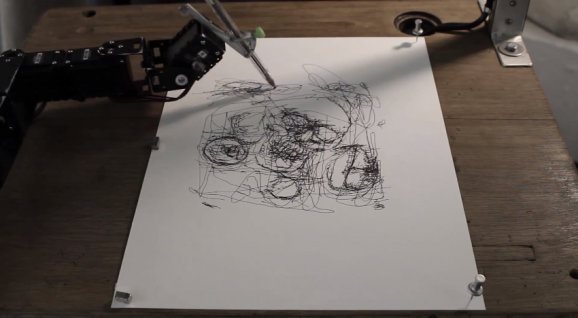 Recently, artist and roboticist Patrick Tresset decided to create a robot that can autonomously create artwork inspired by its own interpretation of its environment. Tresset has been making robots for a while—namely, upgraded versions of a robot he calls Paul, which he calls a “creative prosthetic,” originally designed when he had a terrible case of painter’s block. A few years ago he created Paul and Pete (I have to wonder if there’s a Mary on the way), robots that sketched human faces using facial recognition technology and showed off their stuff at London’s Tenderpixel gallery. Now, many iterations later, Tresset has developed Paul-IX in an attempt to explore the question of whether robots can autonomously create “artifacts that stand as artworks”—specifically, artworks that comment on the human condition. Eyesores are a necessary evil in public spaces. Even beautifully landscaped parks require trashcans, port-o-potties, and electrical boxes. While no one can dispute their practical necessity, it’s also tough to dispute their disruption to the aesthetic appeal of otherwise picturesque places. Researchers from MIT recently sought to tackle this problem, and at next month’s conference on Computer Vision and Pattern Recognition, they’ll present an algorithm they devised to analyze photos and generate camouflage for unattractive objects in the area. The researchers tested various algorithms with Amazon’s Mechanical Turk. 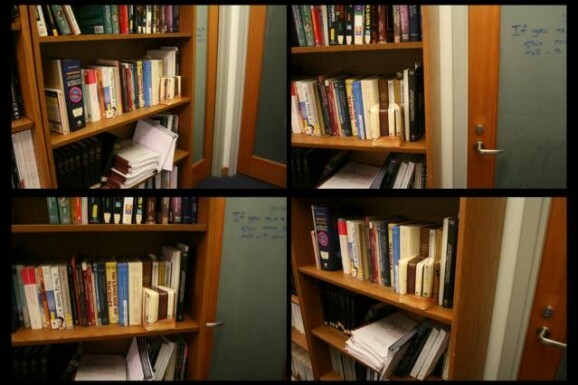 Volunteers tried to identify camouflaged objects in the manufactured images, and the algorithms were scored accordingly. The most successful ones hid objects that took users more than three seconds to find. The developers aren’t trying to keep objects hidden forever—they’re just trying to provide cover so that a casual glance can’t detect them, and they’ve succeeded. Want To Know What Your Babies Will Look Like When They Grow Up? Could the ugly duckling’s parents—or tormentors—have known that it would grow up to be a swan? If they had this new face aging software, they might have been a little nicer to the duckling right out of the gate. Two University of Washington computer science and engineering professors developed this software that, in approximately 30 seconds, takes an image of a child’s face and predicts what that kid will look like over the years, stopping at age 80. The new program doesn’t just randomly guess, it actually takes into account facial expression and pose. 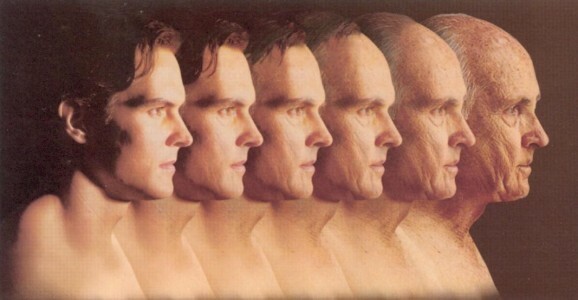 Using thousands of photos of kids and adults, it came up with a basic aging prototype for both genders. It determines from online photos how much and in what ways faces change over time, and applies those textures, shape, and shades to the photo in question. Eventually, the duo hopes to integrate ethnicity, the change in hair color over time, and wrinkles. Scientists from many disciplines are busy studying the interactions between humans and robots, and trying to discern the impact of such relationships. Whether it’s teaching autistic children, reducing feelings of isolation in space, or using them as proxies, we’re going to be spending more time with robots. Maybe this will lead to Her style scenarios, or perhaps those more reminiscent of Spielberg’s AI. Only time will tell, but that doesn’t stop us from designing studies and trying to predict the effects. Even creationists can’t resist the pull of automatons. 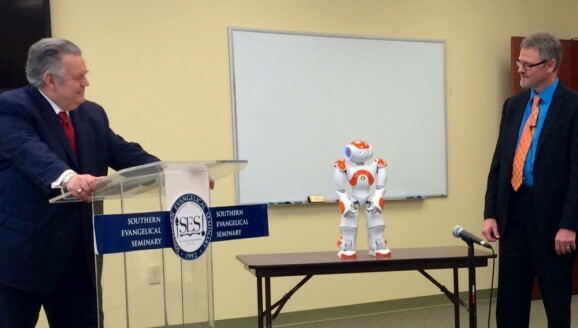 aAgroup of fundamentalist Christians has purchased one of those adorable Nao robots and plan to use it to conduct their own study about the effects of robots on humanity. A couple years ago, UC Berkeley scientists figured out a way to recreate dreams via computer modeling, and then transferred those images to video, bringing Inception to real life. Now, scientists can do the same thing with facial reconstruction. When we see a face, all kinds of stuff happens in our brain. Regardless of whether we recognize the face, we assess it for expressions, shape, features, our degree of attraction or lack thereof to what we see, memories or associations the face might trigger, and a host of other details, most of which we’re not conscious of. Your brain tells the story, and by monitoring the reactions when you look at a face, scientists can render an accurate reconstruction of that face.